I am the proud wife of a soldier. 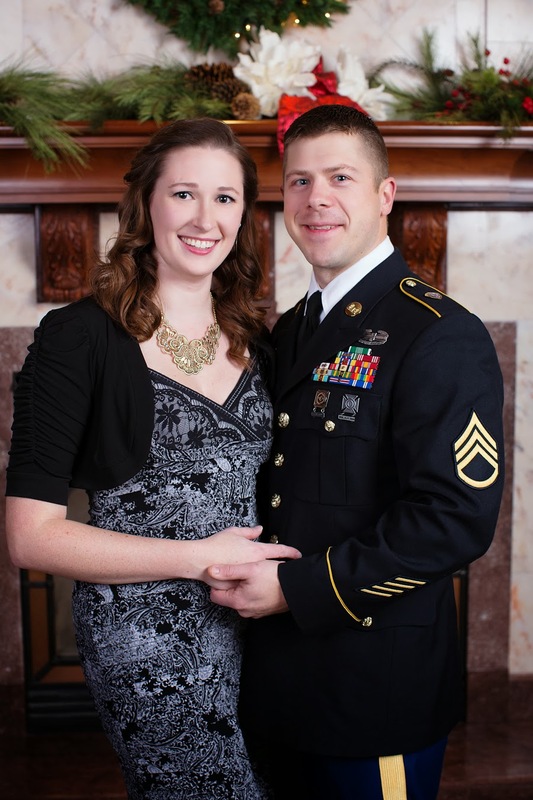 My husband serves in the US Army Reserves and has serve two tours in the Middle East. I am so fortunate that the unit my husband serves in is wonderful. They recently held a formal Dining Out. The Dining Out was held at the ever beautiful Hotel Winnesheik in Decorah. During the social hour and following the meal, I volunteered my time to photograph the couples in attendance. It is rare to see our soldiers in their dress uniforms, as most often they are in their regular camouflage, so it is a wonderful opportunity to get a beautiful portrait together. I truly enjoyed the event and was honored to photograph the couples. While I'm not terribly used to being on the other side of the camera, I could not miss this opportunity to have a portrait with my husband. A thank you to my father-in-law, who is also a retired soldier from the unit, for being willing to capture a portrait of me and my soldier. I cannot wait to put this portrait up in my home.